The program has support for both x32 and x64 systems. It comes with the applications such as Express Gate, AI Recovery Burner and Winflash. 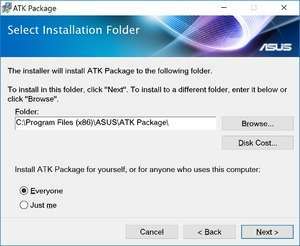 For security reasons, you should also check out the ATK Package download at LO4D.com which includes virus and malware tests. Additional screenshots of this application download may be available, too.